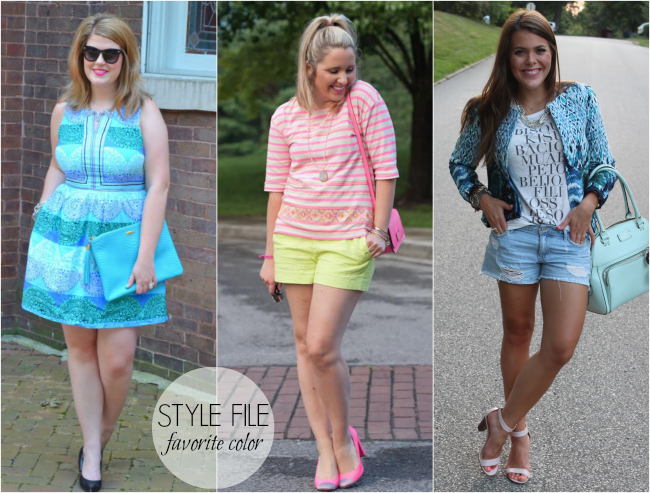 I'm excited to be teaming up with two of my favorite gals today to share another Style File post! 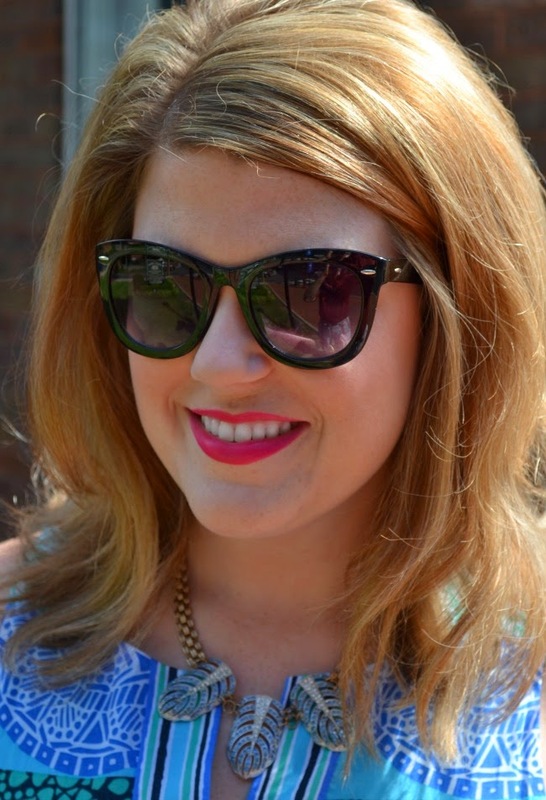 Katie and Shelby are incredibly stylish and have come to be my partners in crime in this little blogging world. 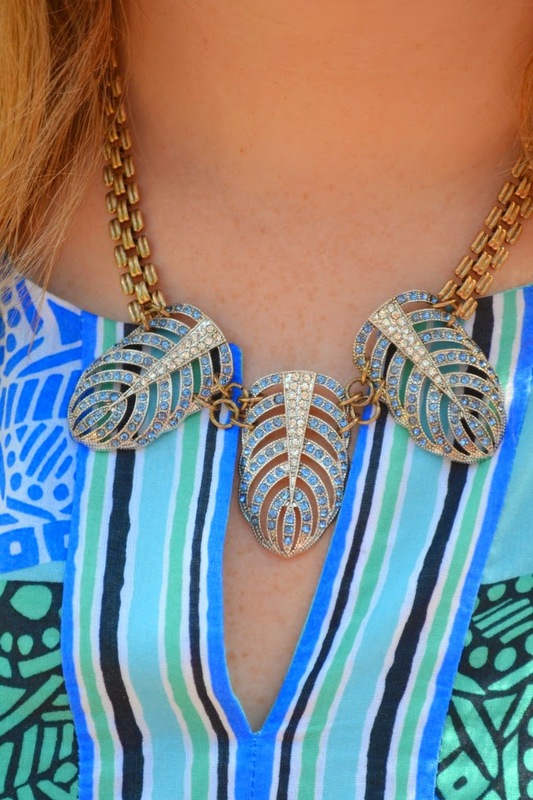 Today we're sharing outfits in our favorite colors and accessorizing with fun necklaces from Accessory Concierge. 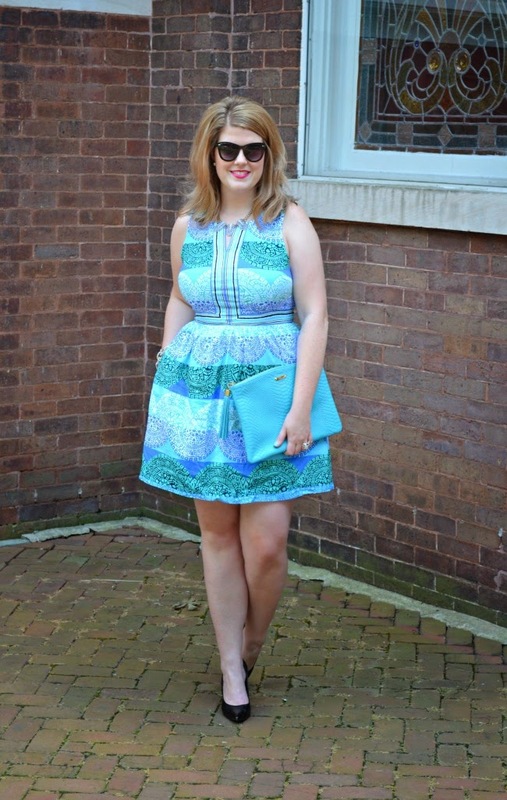 My favorite color changes with the season, but for right now I'm really loving bright pops of blue - turquoise, aqua, royal. 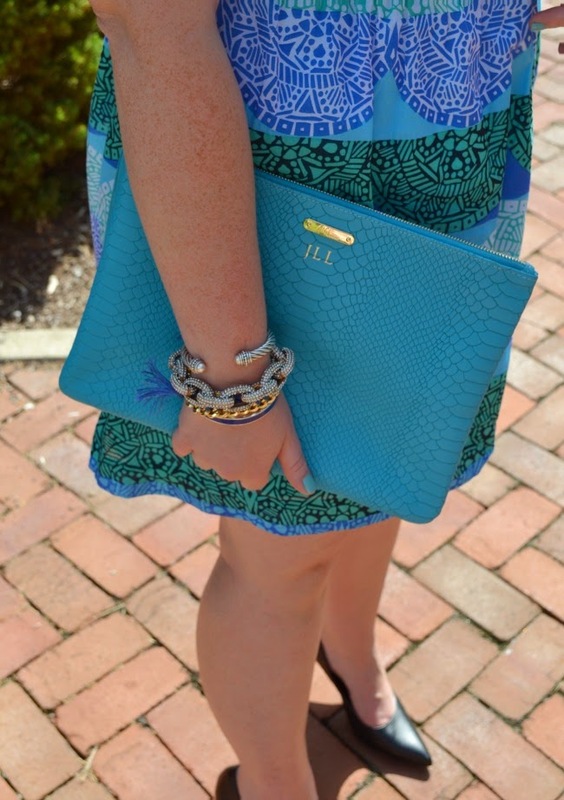 I purchased this Gigi clutch a few months ago and it quickly became a staple when going out. 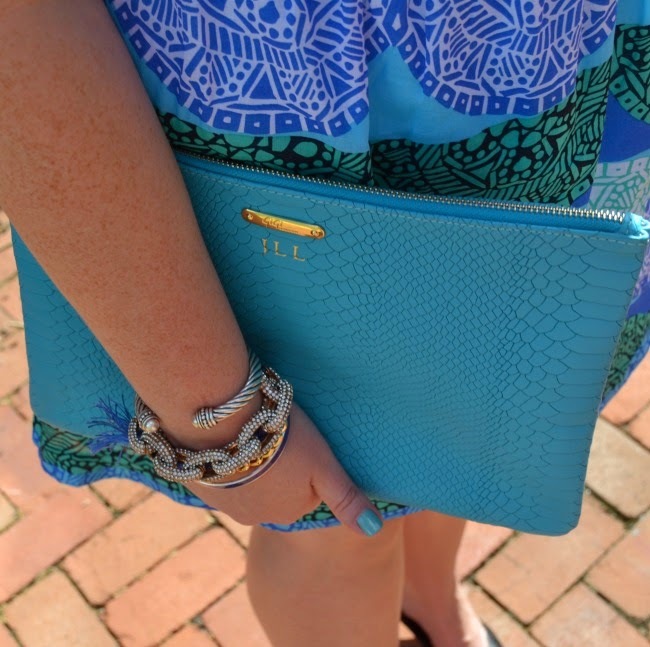 The size is great for a clutch (it holds so much more than your everyday clutch) and the tassel and gold monogram make the perfect finishing details. Make sure to check out Katie and Shelby's favorite colors over on their blogs and keep up with this series via the hashtag #JLStyleFile! 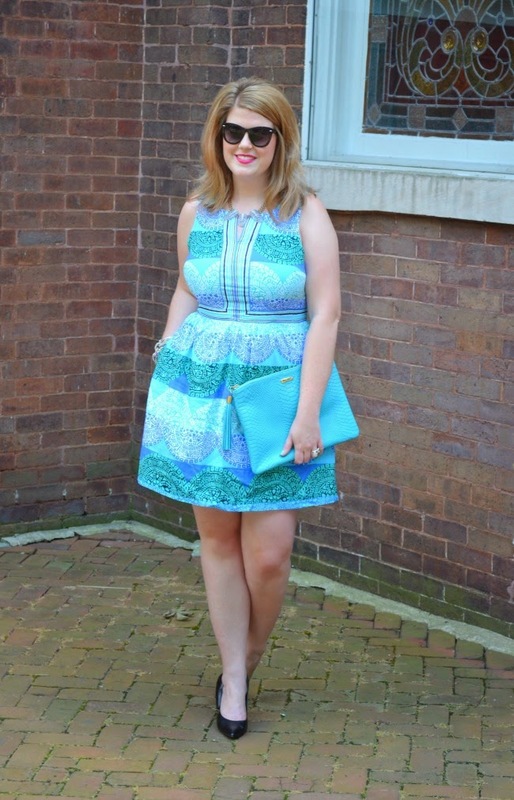 Can I tell you - this is one of my favorite looks I've seen popping up on any blog! Usually one color looks can look soo.... flat. But this is absolutely gorgeous. That is such a great color for you.